As usual with major launches, fake versions of new smartphones are popping up in Asia. The iPhone 6s has received one such fake, available in Vietnam, in pink. Externally, the fake looks just like the real thing, but inside is where the changes happen. 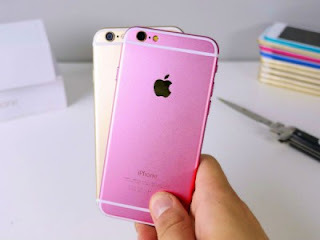 interestingly, some of the rushed retailers in Vietnam simply chose to color the iPhone 6 in pink and pass it off an iPhone 6s. Some outlets even offer shell replacements for customers and some even engrave “iPhone 6s” on it, if you can believe that. The shells were imported from China and the replacement of the components into the new shells take about 2 hours, according to people in the know. There’s also a hidden reason for this craziness: Apple has announced limited availability of the rose gold version of its new handsets, just like it happened with the iPhone 5s gold 2 years ago. And some people said that the color of a phone doesn’t even matter… Anyway, it will be interesting to see if such fakes also appear outside of Vietnam and if this trend grows to other continents. Entertainment now at your Finger tips! Simply click on "Vlive" in your SIM menu & choose from wide range of Information across the City, Entertainment & lots MORE on your mobile.